Below I share my secret to a mess-free bacon treat in your kitchen. With only 2-3 ingredients you can’t go wrong. 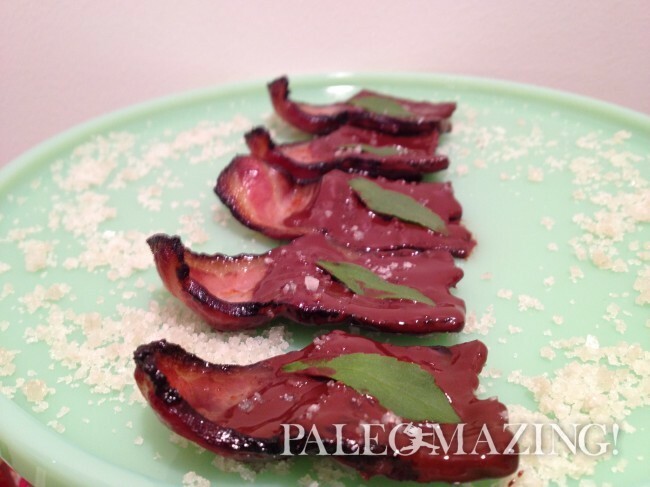 It really all depends on how you want to “dress” up your paleo bacon treats, if at all. If not, then this this recipe consists of only TWO ingredients and no mess: paleo dark chocolate bacon OMG! Some of the goodies that I used to dress up my bacon! I place my roasting pan with a rack in the oven with these lovely little bacon babies hanging on top, ready to be cooked. The grease drips down and never splatters all over and it is a win-win as the bacon gets perfectly cooked this way as well. Don’t forget to turn the bacon over mid-way which is mentioned in the instructions below. I have other toppings which I love to suggest like pistachios (in the image above) or how about the below as a fun twist with flavors! 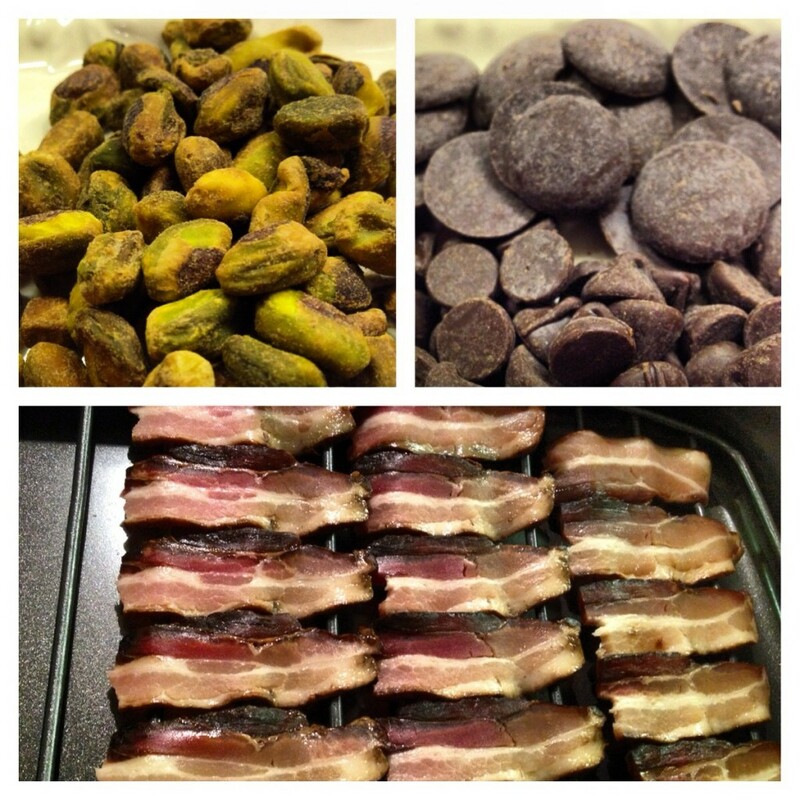 Macadamia nuts are amazing paired with chocolate and bacon. Yep, macadamia nuts with a touch of sea salt! Your taste buds and every cell in your body will be crying for more. Here we now have the fat and protein from the bacon; the endorphin effect from the chocolate as well as the antioxidants; and now we have the benefits from healthy nutritious and delicious macadamia nuts, and believe me, your blood sugar will remain happy. Can you tell I was born in Hawaii? :) Never will forget that place. Yum! Let’s get to work; or should I say get to “the fun”? This is without a doubt one of the easiest and most rewarding paleo recipes ever. Your family will love you and will be asking for more. No mess and it's easy to clean up. Now who can say that about bacon?! This is paleo meets bacon in your mouth - totally delicious. 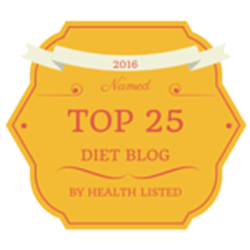 Yes, bacon is totally on your list of approved paleo foods and a terrific paleo solution. OPTIONAL: peppermint extract, sea salt, pistachios, macadamia nuts, mint leaves, etc. Line your roasting pan with heavy-duty tin foil to catch drippings. This will make your clean up much easier. Cut your bacon into approximately 4-inch strips. In other words, your package will be cut into thirds. Lay your bacon across the racks so they are not overlapping. The desired doneness is really up to you. Some like this more crispy and some like it more tender. I suggest trying both to see what you like. Take out and blot some of the oil off. Move to another rack to cool. Warm up your chocolate discs over a double boiler mixing constantly OR do what I do, and heat them up in increments of 20 seconds in the microwave. Stirring each time but DO NOT overheat as you will have a sticky mess. 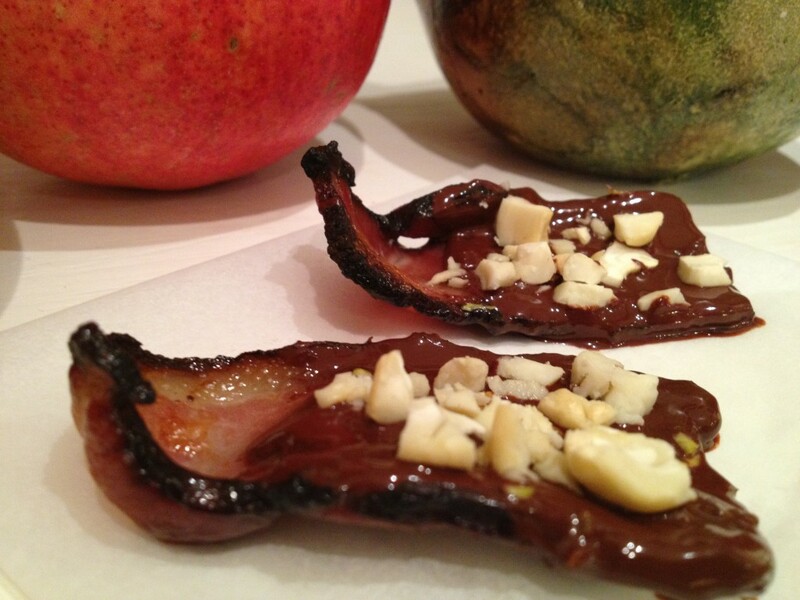 Dip your bacon in the chocolate. Place back on a clean rack with a liner underneath to catch drippings. Dress with your nuts, sea salt, etc. at this stage, while the chocolate is still wet. Place in refrigerator for about 20 minutes or the freezer if you want to speed things up. Serve as a dessert or snack or however you wish. You can make these ahead of time and store them in your freezer or refrigerator.